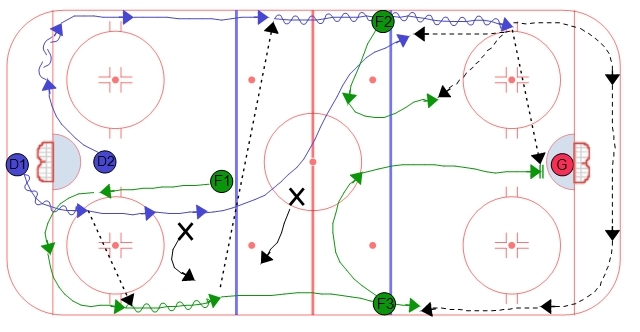 In the double swing power play breakout you have two players swing to the outside while the defense brings the puck up the middle of the ice. Two players are posted up at the far blue line. In this option D1 moves the puck to one of the players swinging to the outside. 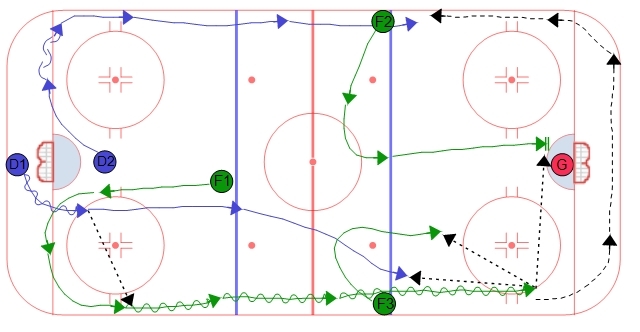 If it is a good pass and the player has enough speed then many times they can skate the puck into the offensive zone. The forwards posted on the far bleu line need to come off the wall as the puck carrier skates up ice towards them to keep the opponents D to the inside. 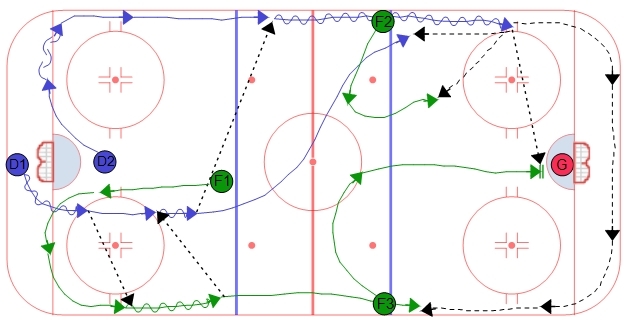 Once in the zone the puck carrier should have 4 options. There should be good net drive, a player in the high slot, a trailing defense, and a far side player available if the puck carrier rims the puck. 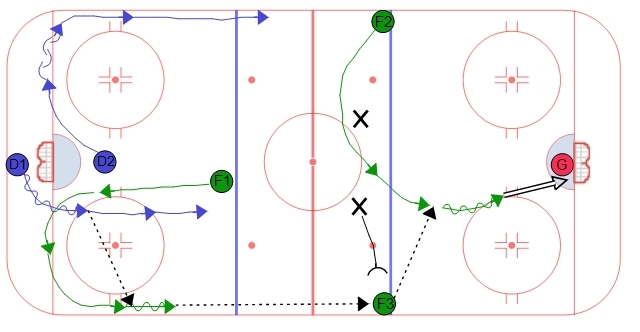 This option works especially well for 5 on 3 power play! View more ideas and power play options.